This review first appeared in the October / November 1988 issue of A Critique of America. Nothing can get the blood going like some hot, steamy soul music. Finding that music today, in the late 1980s, is the tough part as rap has taken soul's place on the black music charts. 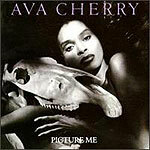 Thus, Ava Cherry's new album is welcome news for those who miss some really solid soul music. The former backing singer for David Bowie (in a group that also included Luther Vandross) turns in an album crackling with spirit and energy. Vandross and Jon Butcher both contribute, with the rest of the cast just as talented if not as well-known. The title track and "Good Intentions" start things off strongly, with Cherry's high yet strong voice sounding not a little like Michael Jackson's. But elsewhere, you can hear traces of Aretha, Tina Turner and LaVerne Baker.